Due to increasing demand for the wells work over, cementing jobs are required to perform squeezing existing formation and open new layer for oil and gas production. This field is producing about 7000 bopd by using 4 Rig/Hoist existing to serve 46 jobs per year. As we need to accelerate oil production to achieve target by the end of year 2011, it’s about 140 old wells will be reactivated. 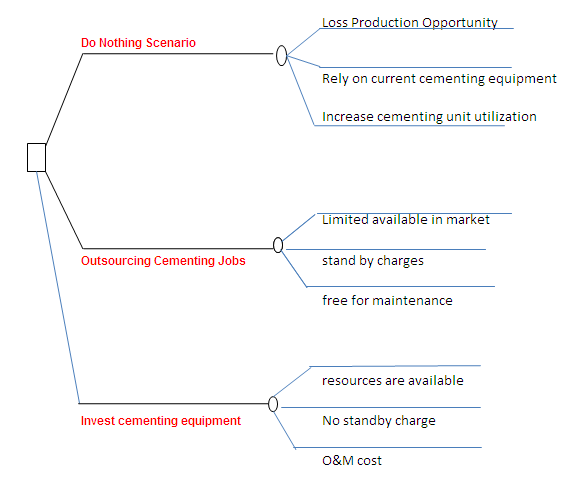 The scenarios to provide the cementing equipments are described below. To anticipate additional jobs for 3 unit rigs, one cementing tank is required to perform squeezing well formation. Cementing Pump, Mud Agitator and power supply should be available as well without disturbing current 4 Rig/Hoist existing. Three options are available to support current opportunities. The Highest Net Cash Flow and NPV. Life Time is predicted for 5 years. NPV calculated at 10% Discount. 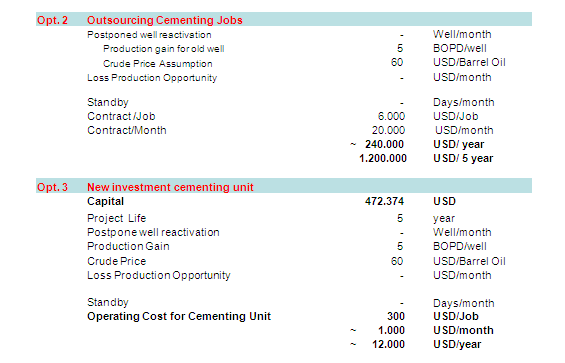 Scenario: Invest new cementing unit, is this worth Doing? Estimated revenue generated as calculated NPV@10% is US$4.927.022 for 5 years operation. Pay out Time is 3.5 months. After the Authorization for Expenditure (AFE) is approved, the following Success Planning is monitored and shall be achieved. 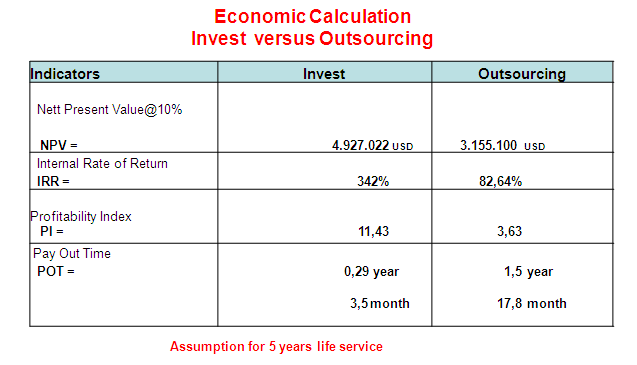 Cost performance – +/- 10% of budget. Schedule performance – +/- 10% of milestone dates. Utilize VIP’s & Best Practices. Involve the right resources (e.g., contract development). This entry was posted in Candra Nugraha, Week #15. Bookmark the permalink. AWESOME as usual, Mas Candra!!! 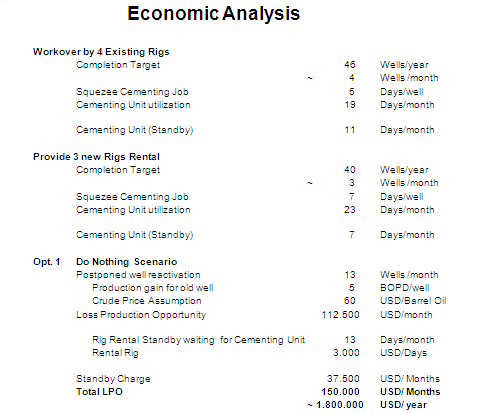 You really understand applied Engineering Economics very well, which is great news for BPMIGAS and Indonesia!!! Very shortly, you are going to have switch focus from Part II – Economic Analysis – (which on the exam is an open book section) to Part III – Project Management – (which is closed book) and is covered by Humphrey’s and your weekly reports, and Part IV – Cost Estimating and Control – (closed book) which is covered by Skills and Knowledge plus Humphrey’s. So in the coming week or two, you need to finish up your paper and get started on preparing for the exams.